One of my favorite part of taking wedding photographs early on, is the details of the bride. I love having the flowers, the invitation, the veil, shoes, and the best part is, how for every wedding you photograph to make it look different. Sometimes, you are better off photographing them individually, and sometime you are better putting them all together, such is the case for this beautiful image, that I captured in Charleston, Sc. I strive for the best wedding pictures in my city Charleston, Sc. As a wedding photographer, the first part of the art was the light coming threw the windows, next came when I had to combine these 4 details into one. 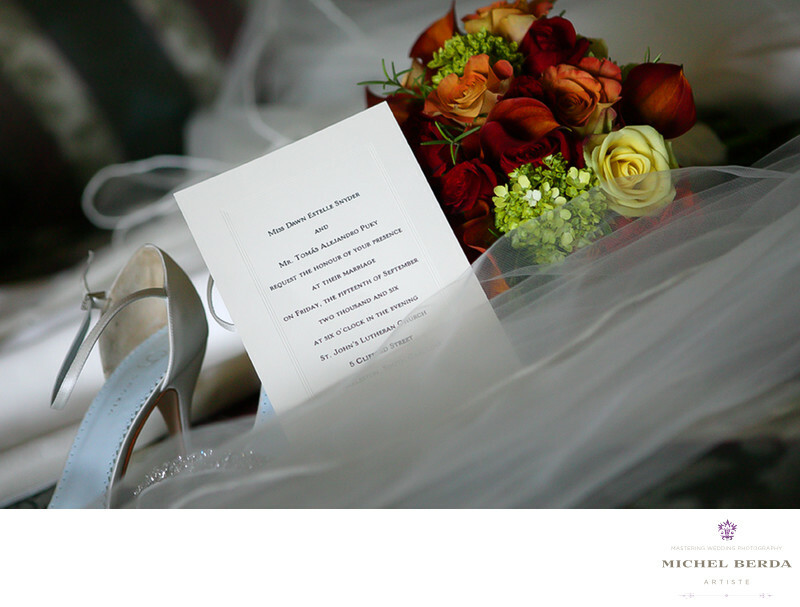 After many attempts, I wanted to accent the invitation so that my clients would remember their day, next came putting the shoe and the flowers on either side, I love the way I took the veil and put it into the front, because your eyes spells wedding details, the light is just perfect, a gorgeous detail image by and the best wedding pictures in Charleston, Sc, for my great clients.Keywords: Charleston Wedding Details (3).